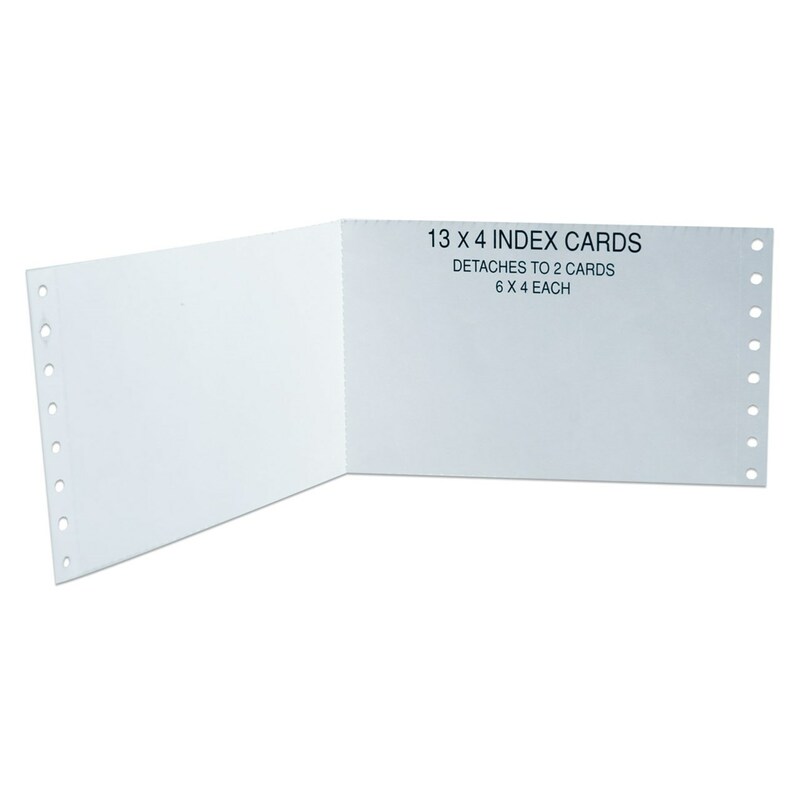 These white index cards go directly into your printer on a continuous feed for expert brailling. There are 2 cards per sheet measuring 13 x 4 that detach to 2 cards that measure 6 x 4 each. These cards are the perfect weight for expert Brailling impressions. Available by the case, 6000 cards (3000 sheets at 2 per card). Add $25 S/H. Weighs 36 lbs. Color white.